1. Properly wash the raw bananas to remove the dirt etc. 2. Peel them off using sharp knife as the peel doesn't come out as easily as a ripe banana. 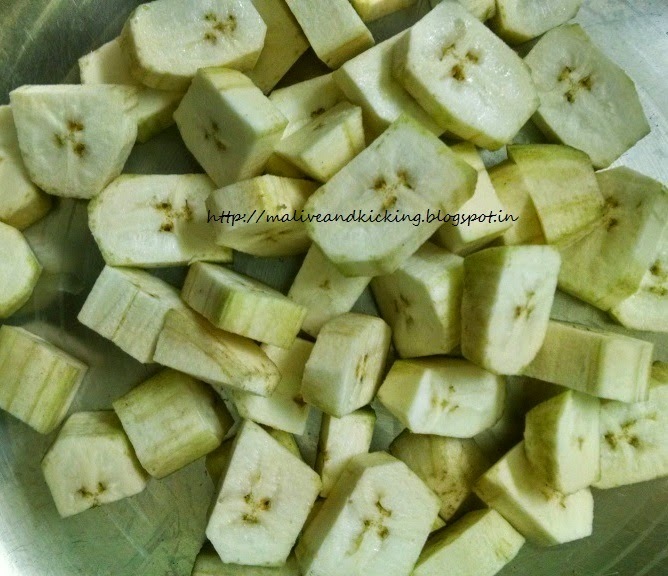 3.Chop the peeled bananas into small cubes. 4. Heat the cooking oil in a heavy bottomed cooking pan and deep fry them till golden brown. 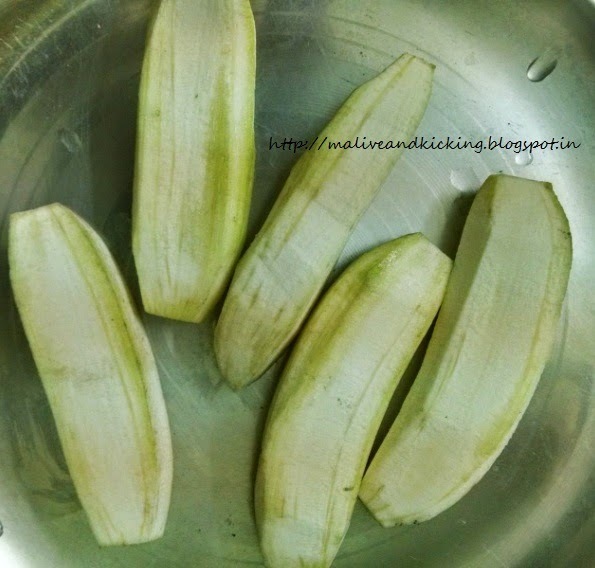 Do take care not to fry the bananas for longer as they dont need much time to cook or soften. 5. 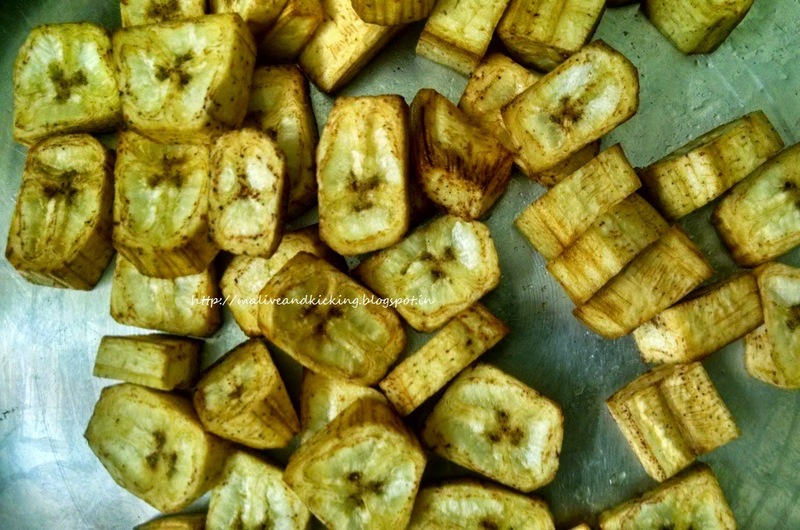 Keep the fried banana cubes aside and heat 2 tsp cooking oil in a pan. Add cumin seeds and allow them to crack. Then add chopped onion and saute until transparent. (you may grind the onions as per you taste). 7. Now add the fried banana cubes, mix well with gentle hand movement. 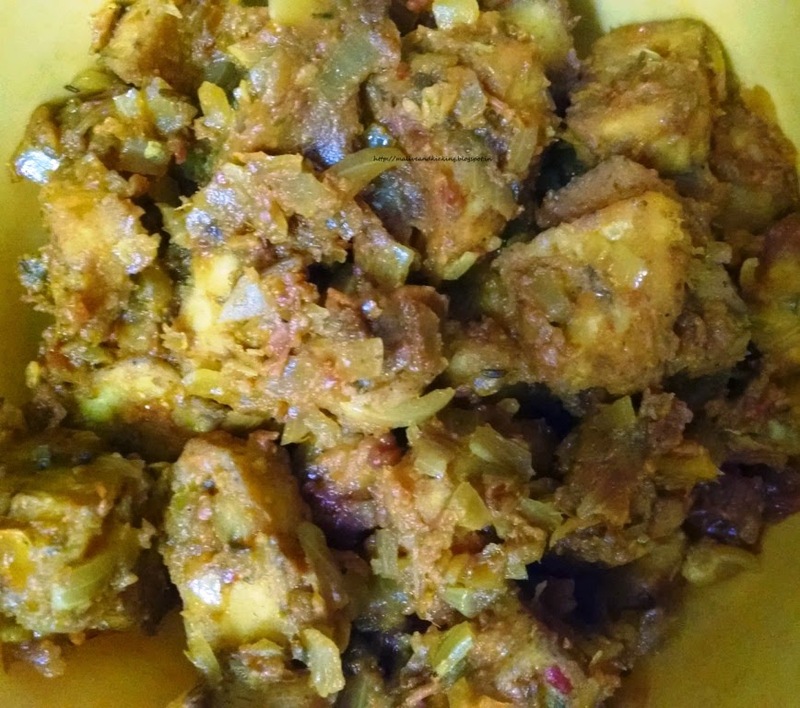 Cook covered for 3-4 minutes on low flame so that the spicy mixture penetrates the banana cubes. Sprinkle some coriander powder. Tip: You may skip using onion and garlic in the recipe & can enjoy it while fasting too. Labels: Food & Drink, Raw banana, Vegetable, Vegetarian Side Dish. I also made veggie of raw bana but i boiled it before. 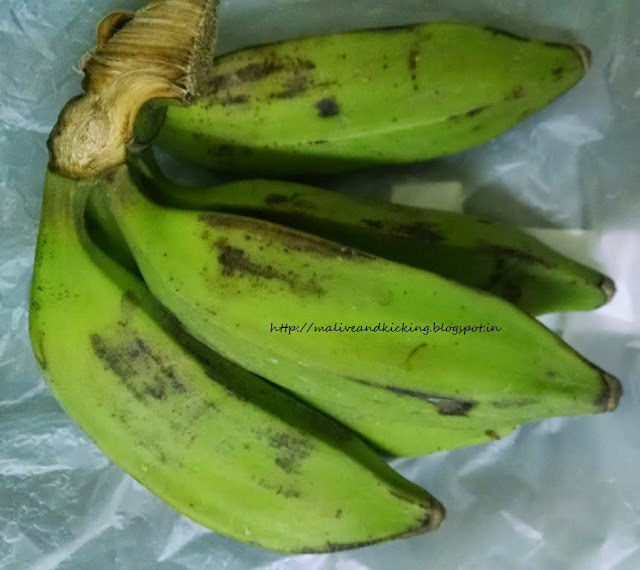 Raw bananas are very rich in iron. I like ur eay too. I'll try it for sure. yummy recipe!!! will surely try.